Who works out daily and really pays attention to what they put into their mouth? I am a firm believer in healthy foods when I snack and I love those foods that best support my low glycemic lifestyle choices. It took me a while to really find some snacks that would be a healthy alternative to chips and still give me a good crunch. 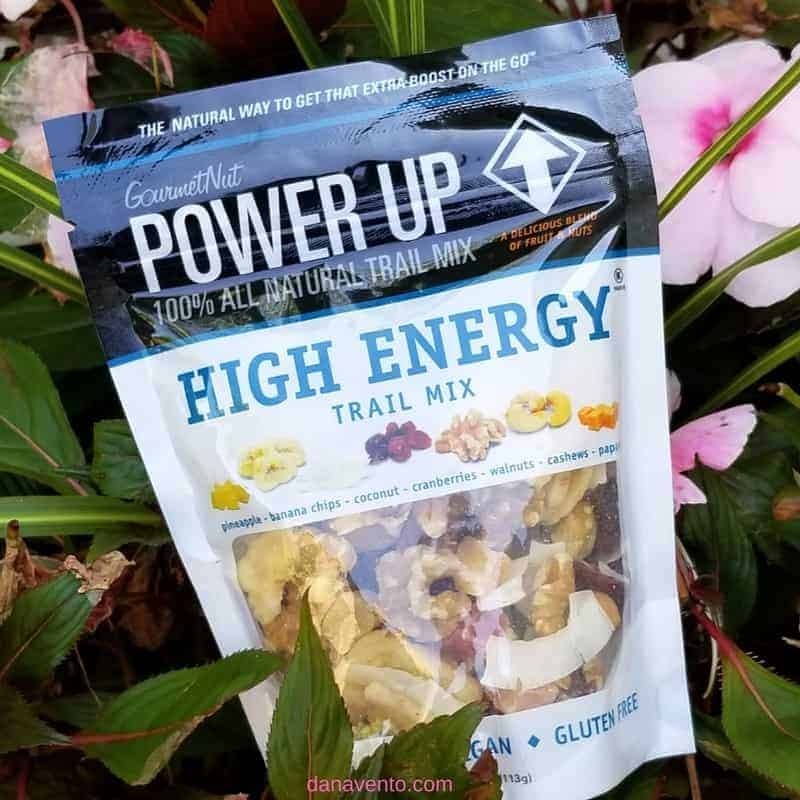 I believe powerful snacks power me up during the day without weighing down my lifestyle. I am all about having the freshest ingredients with just a dash of sweet in it, as long as the sweet is much less than the protein. I try to balance out what I eat and if I keep powered up I find that I make better choices. Did you know that in order to perform at our best all day long our bodies require consistent energy levels and spiking them with sweet drinks and sugary bars is no the way? Lavishly live my tips to power up your snacking while still keeping up with that craving to crunch! 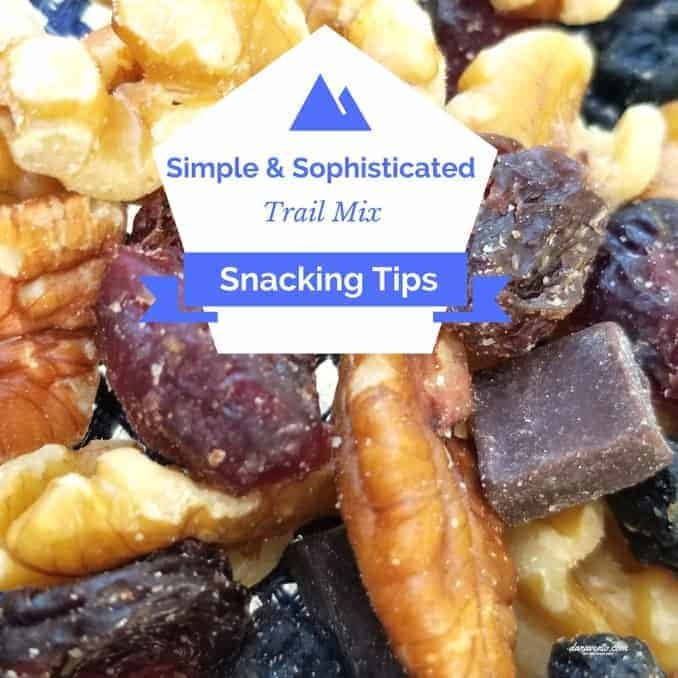 Who’s ready to learn about simple and sophisticated trail mix snacking tips? Long ago, someone told me to buy some nuts and then bring them home, sugar coat them and allow them to harden. That all sounds great in theory, but I just took a natural snack and altered it from good to bad. Yes, I am sure you are shaking your head, but if you added a sugar coating to this you suddenly added sugar (that you don’t need) to your diet. If you buy a food and then add sugar to it, you have just taken it from simple to simply bad for you. When I discuss natural foods, that give you a natural boost, I am talking about foods like unroasted, raw almonds, walnuts, pecans, cashews and pumpkin seeds, peanuts, all in their most simple state. Also, dried fruit without coatings is another simple but sophisticated add, like dried pineapple, banana chips, papaya, cranberries raisins, blueberries, and mango. Bring along water too! 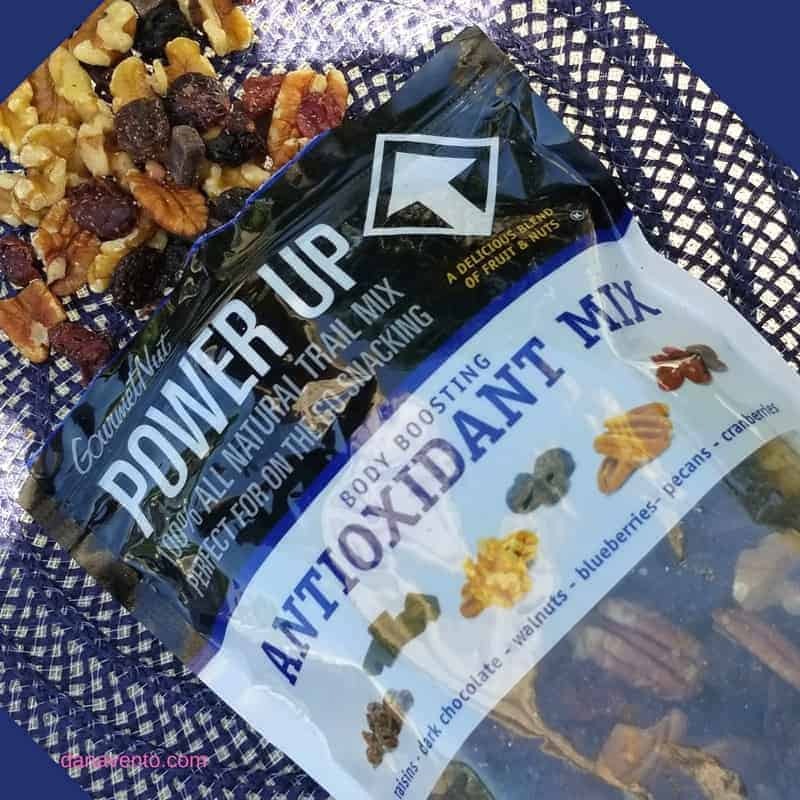 Those ingredients are my go-to items when I snack, but, short of running out and buying a bag of each and making my own mix, finding a 100% all natural trail mix for on-the-go & desk snacking has been a tough find. I have now found an all natural, vegan and gluten-free snacks! Trail mix is great because it can be nibbled at rather than pounded by the chunk. 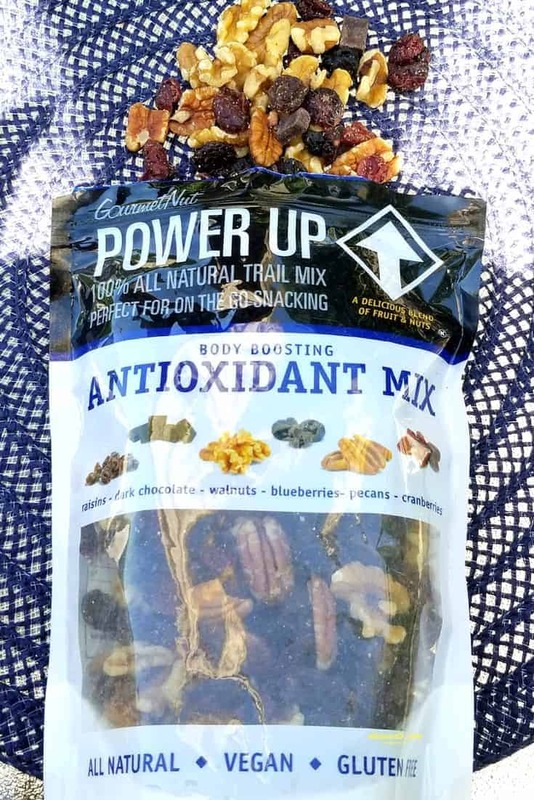 Variety is the spice of life, so make sure to try several varieties from the same brand when you are testing out trail mixes High Energy mixes, Nature mixes, Goji Power Mix. Trail mix should come in a resealable bag so that you can come back for more as you wish, or lock it up tight until you are ready for more. A great balance of a trail mix will contain a well-appropriated mix of proteins, carbs, and healthy fats. Pick a trail mix that is healthy and fresh and that contains some Omega-e.
Scour the trail mix package and look at the ingredients. If there is added sugar walk away and if anything has yogurt coating it’s not your friend. Carry trail mix in all of your gym bags, and handbags to curb hunger whenever it rears itself. Power Up Your Snacking Choices. Your prime pick of Power Up will offer you both savory and salty without having to add much more than the basics. Your nut should not be baked it should be raw, totally naked. What you want to see in the bag label is natural, and nut loaded. Look for nut choices like walnuts, almonds, hazelnuts, pecans, dried fruits such as apricots, pineapples, cranberries, blueberries, mango, etc. What you do not want are mini candy-coated pieces because that immediately knocks away from the good and ends up being more of a bad treat. Affiliate Links Contained within, which means clicking on these carries you over to Amazon.Com. I love the dark chocolate and pecans. My favorite nut in the trail mix is the cashews. My fave nuts to have in trail mix are cashews. Love ’em! Cashews for me! Actually I love all kinds of nuts. I love assorted nuts, chocolate and dried cranberries! Yum!! I enjoy almonds and walnuts in mine! I love almonds and walnuts in trail mix. The cranberries and pecans are my favorite. They tend to be gone first!! Lol.